The House on Wednesday passed legislation that would give the secretary of veterans affairs more authority to remove or demote senior executives as public outcry over the failing health care of the nation’s war veterans continued. In a bipartisan 390 to 33 vote, the House voted to give the VA secretary more power to remove career employees serving as hospital directors or executives. White House spokesman Jay Carney said the Obama administration shares the goal of accountability but has concerns about how the legislation is written. VA Secretary Eric Shinseki has said the bill can be improved "in its present form," and told reporters last week that he already has the authority he needs to deal with staff at the VA. The VA has been under intense scrutiny since allegations arose last month that hospital employees deliberately skewed data to hide treatment delays that resulted in deaths. "If these allegations prove to be true, it is dishonorable, it is disgraceful and I will not tolerate it, period," he said in remarks at the White House. 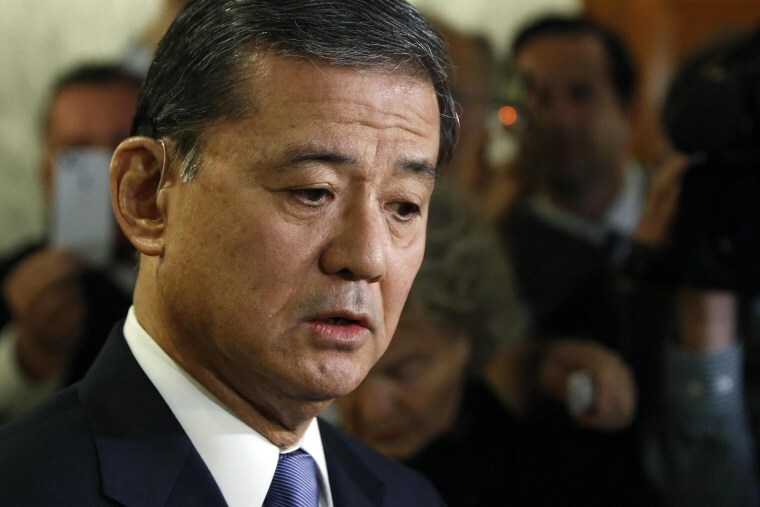 Shinseki will meet with Congressional leaders Thursday on Capitol Hill, his third trip there in one week. -- NBC's Andrew Rafferty contributed this report.